For converting standard UK dovetail to and from 20mm wide rails. 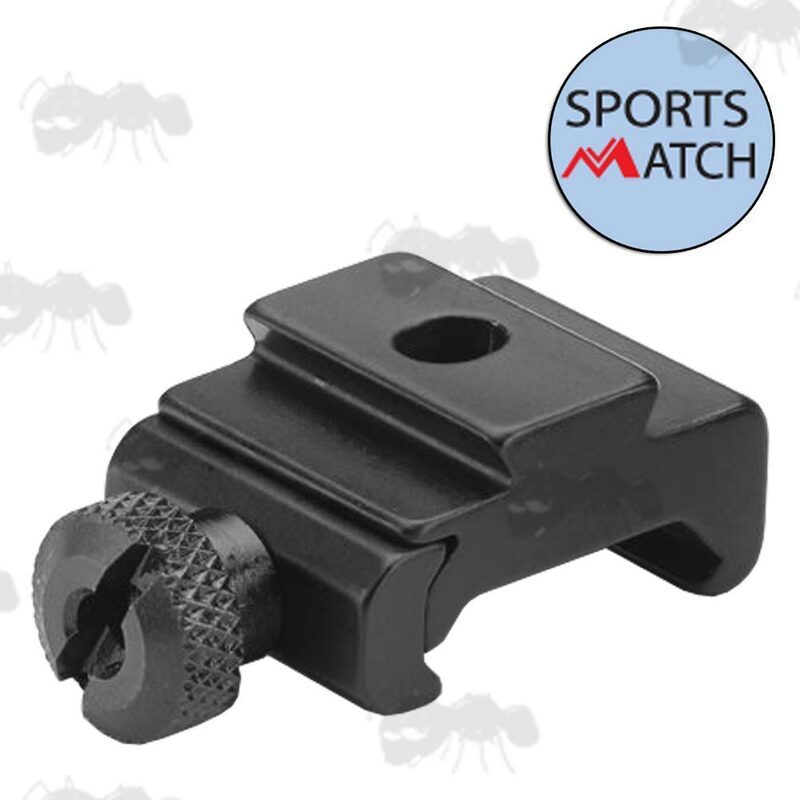 Allows 9.5 - 11.5mm dovetail rail air rifle / rimfire scope mounts to be fitted to Weaver / Picatinny railed rails. Approx weight ~ 22 grams. 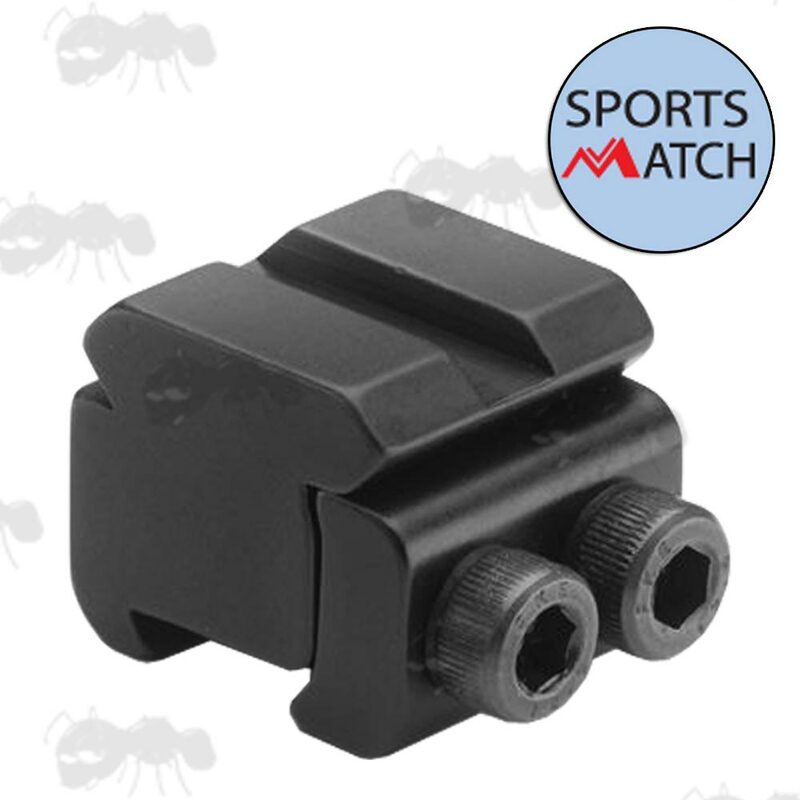 Allows Weaver / Picatinny based night sights / range finding rifle scopes etc, to be fit to air rifles / rimfire rifles. Double clamped allen head bolts. Choice of a single adapter or pair. 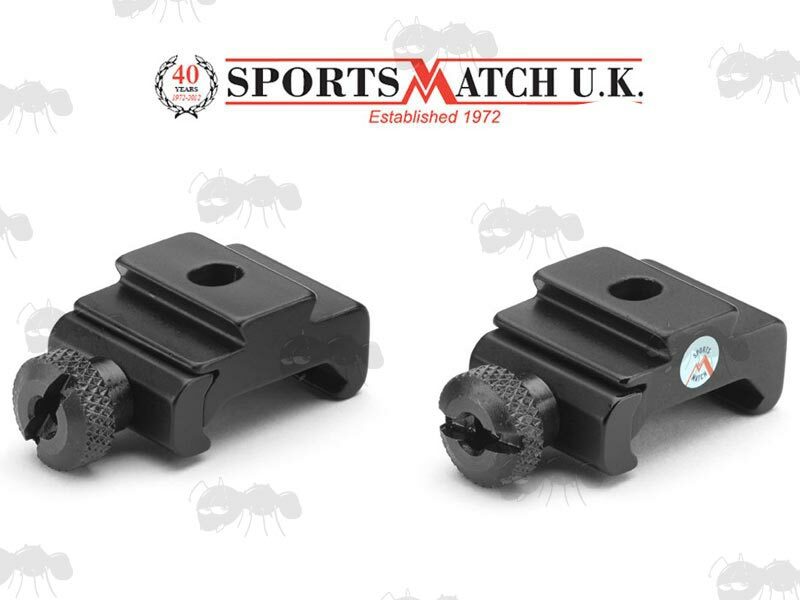 Choice above of a single adapter or pair of adapters to convert 20mm weaver / picatinny rail to a 9.5-11.5mm dovetail rail or vice verse. 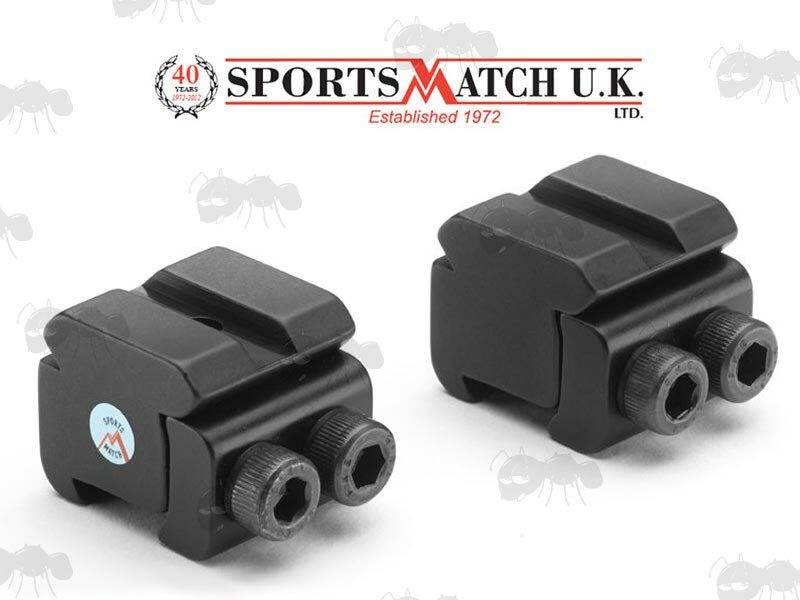 Other SportsMatch UK adapters ~ RB3 Dovetail and RB4 Tikka / CZ.